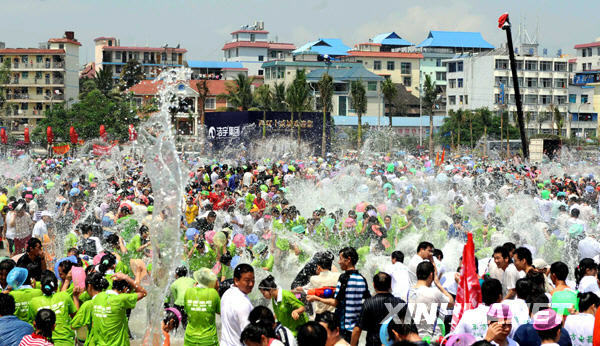 On April 15, tens of thousands of people gathered in a square to celebrate the Water-splashing Festival of the Dai ethnic group in Jinghong City, Yunnan Province, Xinhuanet reported. 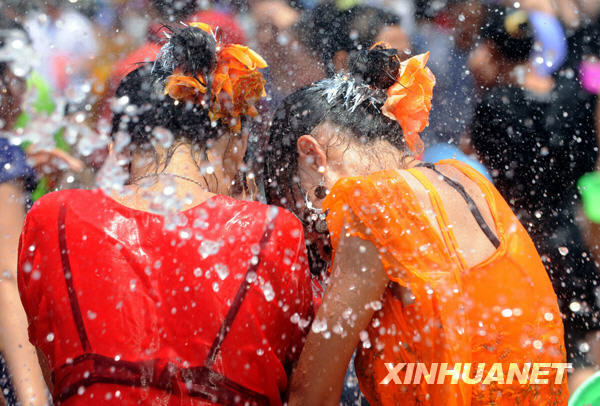 On April 15, tens of thousands of people gathered in a square to celebrate the Water-splashing Festival of the Dai ethnic group in Jinghong City, Yunnan Province. 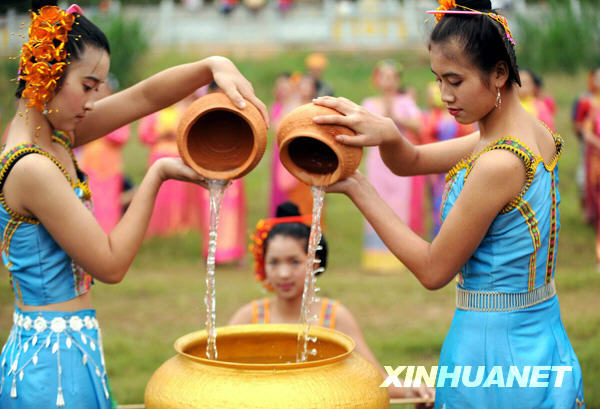 The Water-splashing Festival is held in the Xishuangbanna Dai Autonomous Prefecture of Yunnan each year from April 13-15. Local people and tourists wearing colorful clothes splash water and give their best regards to each other. As it falls on the first day of the Dai calendar, it is the traditional method for the Dai people to "ring out the Old Year and ring in the New." Two girls enjoy the blessings of the splashed water. Citizens splash water on each other in the street. Water from the Lancang River is poured in a special basin during a ceremony. 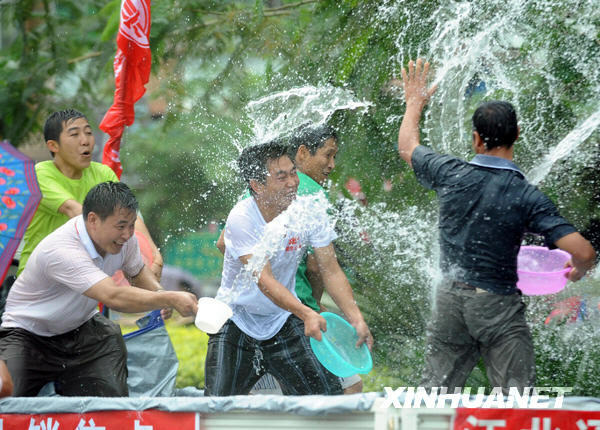 The Water-splashing Festival is a traditional festival of the Dai people in Yunnan. Legend has it that in ancient times, there was a very wicked demon who once seized seven beautiful girls and forced them to be his wives. The youngest of the seven girls was so clever that she killed the demon by strangling him with a single hair of his own. Unfortunately, wherever his cut-off head tumbled about, there were raging flames. However, once the head was carried in the arms of one of the girls, the fire would immediately go out. So the girls took turns carrying the demon's head in their arms on an annual shift. When the switch came around, people would splash water on the relieved girl to clean the bloodstains on her body and help her recover from the year-long fatigue. Ever since, the Dai people have been celebrating the Water-splashing Festival (New Year's Day by the Dai Calendar) to ring out the Old Year and ring in the New. In the Dai culture, water serves as a symbol of sanctity and brightness. The highlights of the festival include a water-splashing carnival, dragon boat racing, cockfighting, ethnic performances, etc.